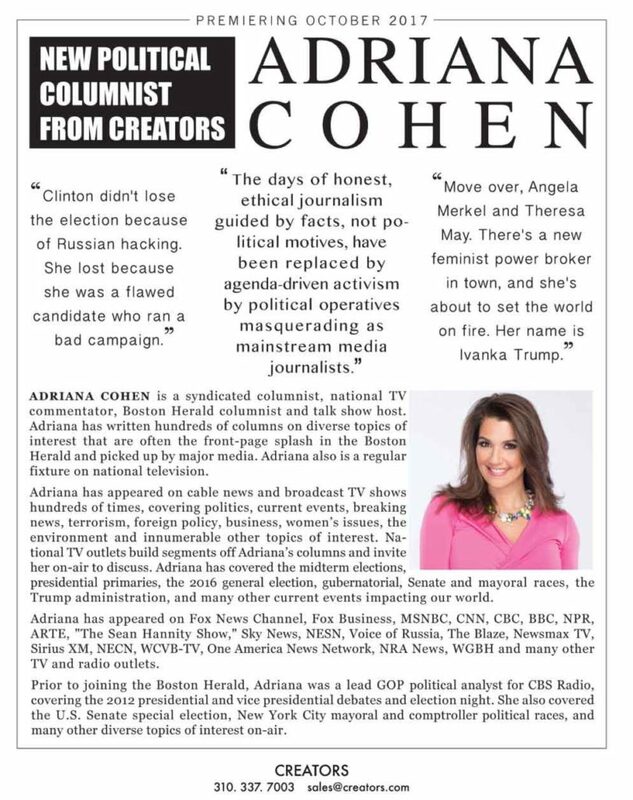 Adriana Cohen is a syndicated columnist, national tv commentator, Boston Herald columnist & Host of the “ADRIANA COHEN SHOW,” airing Wednesdays at noon on Boston Herald Radio on www.bostonherald.com. Since joining the Boston Herald in 2013 Adriana has covered the midterm elections, Presidential primaries, 2016 General election, gubernatorial, senate & mayoral races Trump Administration and a gamut of other current events impacting our world. Adriana has written hundreds of columns that are often the front page splash in the Boston Herald. She is also a regular fixture on national television. Adriana has appeared on cable news shows hundreds of times covering politics, current events, breaking news, terrorism, foreign policy, business, women’s issues, environment and innumerable other topics of interest. In February 2017, the White House invited Adriana to join the daily Press Briefing. Adriana is also a sought after speaker and mentor. Adriana speaks at Harvard University, sits on leadership panels and mentors Harvard Undergraduate Women in Business. 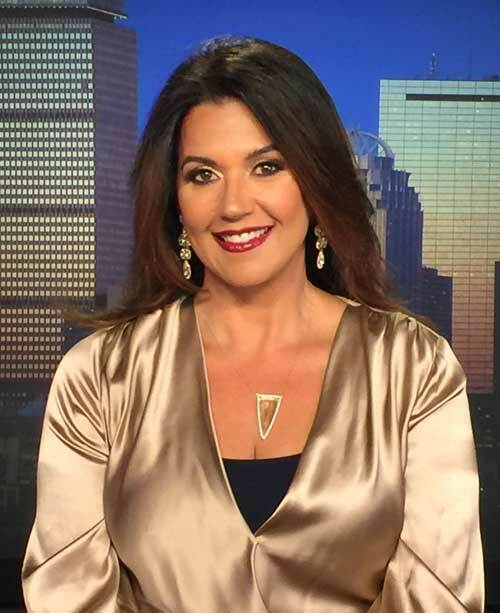 Prior to joining the Boston Herald, Adriana was a lead GOP political analyst for CBS radio, covering the 2012 Presidential & Vice Presidential debates, Election night and Talk the Vote series. She also covered the U.S. Special Senate Election, New York City Mayoral & Comptroller political races and many other diverse topics of interest on air. To listen to these segments, visit the Media page. Versatility of experience and no nonsense straight talk delivered in an informative, honest and entertaining manner is one of the many strengths that makes Adriana an appealing and sought after commentator on both radio and television. Adriana has appeared on a wide array of media outlets. For booking inquiries please contact Adriana at info@adrianacohen.com. A lifelong philanthropist actively supporting innumerable charities across the country, Adriana also volunteers at a homeless shelter. To learn more about Adriana’s philanthropy, click here. Adriana lives with her husband and their children, in Massachusetts. For Media & Speaking Inquiries please visit the Contact page.